What you just described is our Liberty Wool, one of our most popular yarns by far. This book includes lots of accessories like the popular Molly Scarf, the Dinky Hat and the Mitered Mittens. 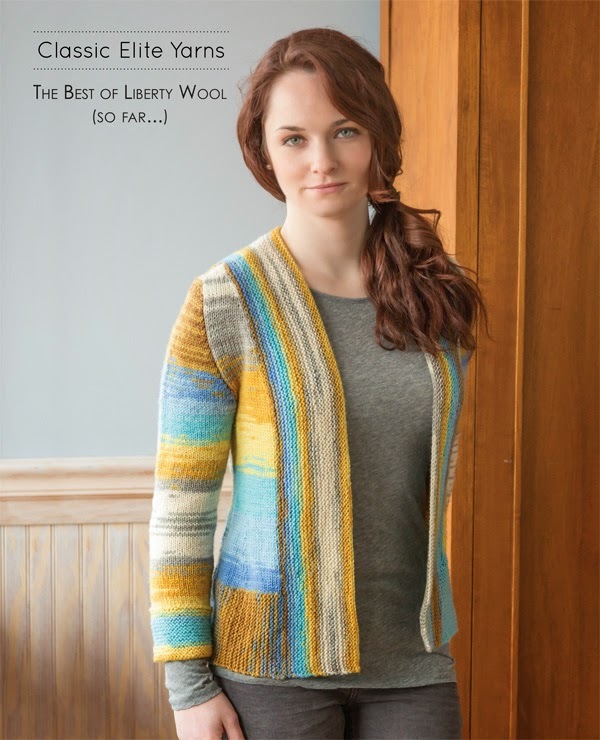 It also includes lots of garments…including the Seeded RibVest, Sylvan Shadow Pullover and the Deep Rib Cardigan. Don’t worry…we didn’t forget those of you who crochet. There is the Easy Crocheted Hat, Granny SquarePatchwork Hat and the Maxime pullover. *we are including the So Far… in the title because you know there are going to be a lot more pattern support for this wonderful yarn in the years to come.